An Enchirito, what the heck is that? I’ll tell you what it is- it’s the best of both worlds, a little burrito – a little enchilada. 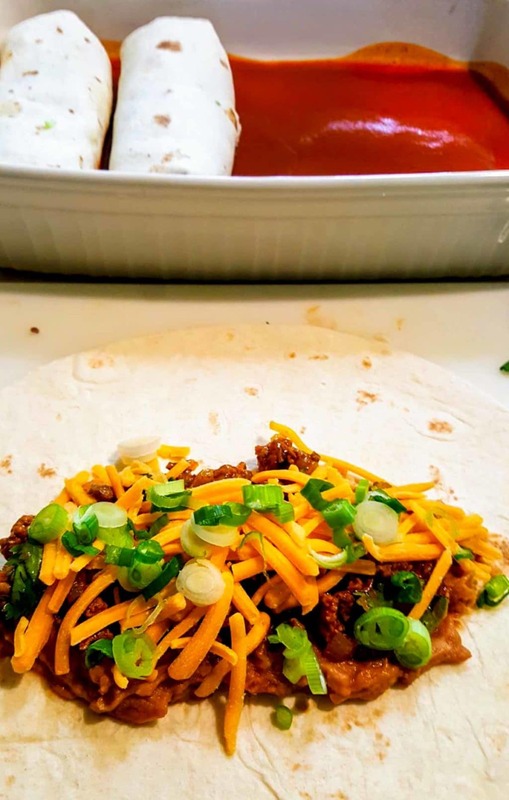 It is kind of a copycat version of the Taco Bell smothered burrito. This yummy dish was born out of my desire to have Mexican food, often, and my undying love of enchilada sauce! 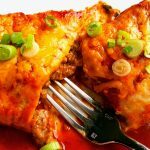 Have you ever made traditional enchiladas at home. The real way… frying each individual corn tortilla in oil and then dipping them in enchilada sauce. It is a huge mess, or at least it is in my kitchen, and super time consuming. I knew there had to be a better way to get my enchilada fix without the hassle. 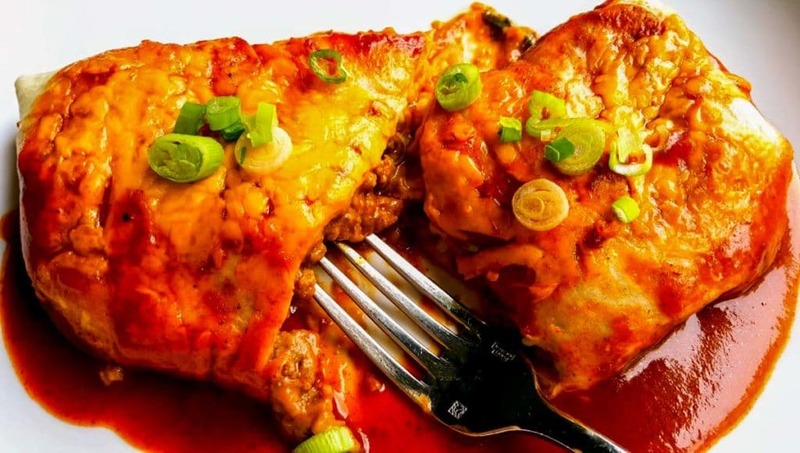 The Enchirito is not a fancy dish.. but, it’s delicious and so easy! In my recipe there’s no hassling with corn tortillas or homemade enchilada sauce. I think you’re gonna love it! 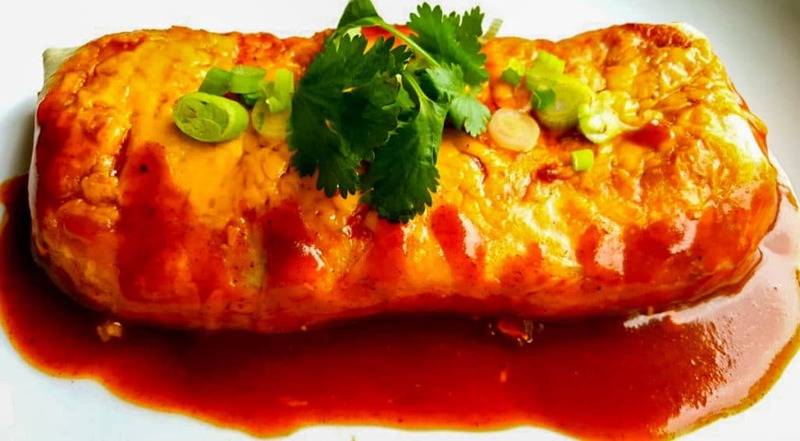 The Enchirito is a super versatile recipe. 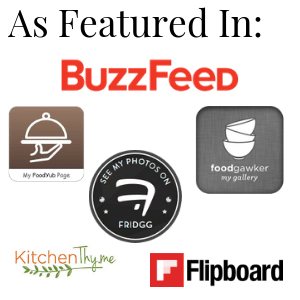 Change it up to suit your family’s taste buds. You could trade the beef for shredded chicken or, my favorite, rotisserie chicken, or shredded pork. To make it vegetarian you could just roll the burrito with Mexican rice and refried beans . Black beans or refried black beans could be a great trade out too. The addition of black olives, avocado, sour cream, or guacamole would only make it better, in my opinion! Most of the time this is an easy dinner on a busy night at my house. We will eat it with chips and my restaurant style salsa. However, if we are having this on the weekend I will add a side of Mexican rice and maybe a fresh Mexican Slaw like this one from Foodie Crush. Don’t forget the cocktails! 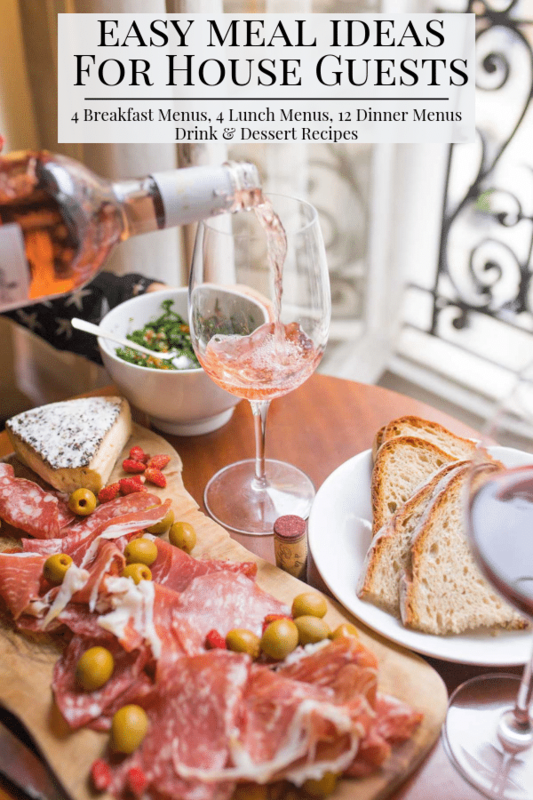 This pairs perfectly with Grapefruit Margaritas, Cranberry Ginger Margaritas, or Rosemary Palomas. This is an easy dish to make ahead and store in the fridge for a busy night. Prepare the beef and bean filling. Fill and roll the burritos. Place 5 oz of the enchilada sauce on the bottom of a 9×13 pan. Put the Enchiritos in the pan and cover with foil. Do not top with the sauce and cheese until right before they are ready to go in the oven. You can save these in the fridge like this for a day or two. 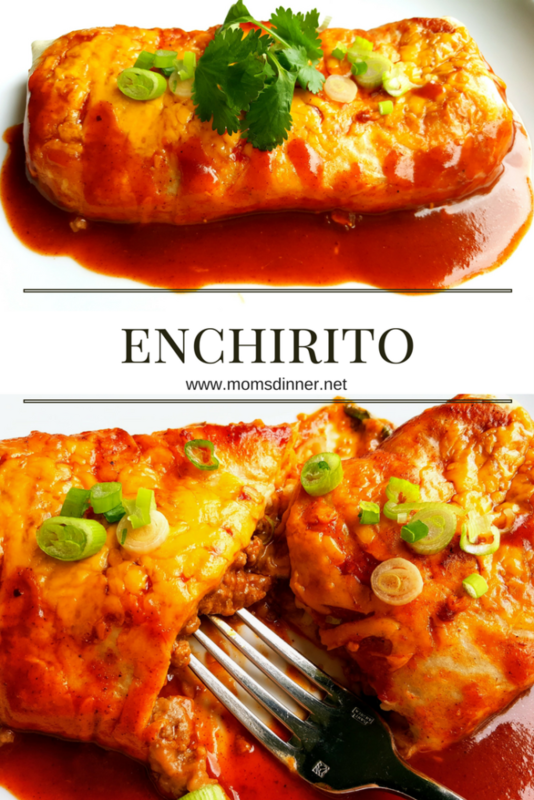 I hope you try my Enchirito recipe in your kitchen! Enchirito is a little enchilada and a little burrito, just like the Taco Bell Smothered Burrito. It is the perfect mix of all my favorite Mexican foods. 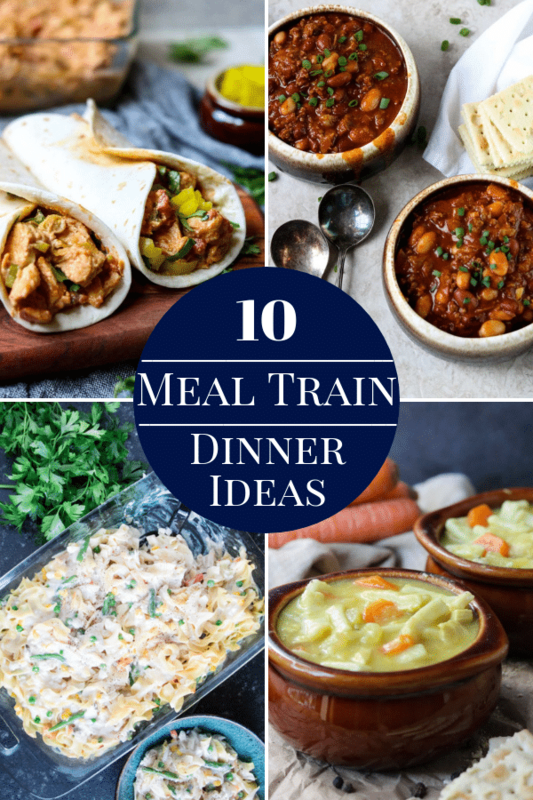 It is a super easy dinner and can be MADE AHEAD if you have a busy week. Saute the onion in the oil until translucent. Add the beef and garlic. Crumble the beef while cooking, until the beef is cooked thru. Drain the fat from the beef and onion mixture. Warm the refried beans in the microwave for 1 minute to loosen them up. Place 5 oz of enchilada sauce on the bottom of a 9x13 pan. Fold the left and right ends of the burrito in, then take the side of the burrito closest to you and fold it over the filling. Continue rolling the tortilla until it completely encloses the filling. Place it seam side down in the 9x13 pan. Top the Enchiritos with the remaining enchilada sauce and the remaining cup of cheese. Cover with foil and bake for 20 minutes. Remove foil and bake for an additional 5 minutes. Let sit for 10 minutes before serving. Garnish with extra green onions and cilantro. To make ahead: Fill and roll the tortillas, pour 5 oz of enchilada sauce on the bottom of the 9x13 pan. Place the enchiritos in the pan. Do not top with additional sauce and cheese. Cover with foil and refrigerate for a day or two. Before cooking top with remaining enchilada sauce and cheese. You may need to add 5 minutes to the baking time to warm thru. I’m also an avid lover of enchilada sauce. When I realized how easy it was to make it was like game over. I changed it up just a tad to make it more WW friendly. It was so good!! Tell me how you adjusted it!!! I joined WW this month. I gained 25 lbs last year : ( doing damage control now!! Enchirito!! Genius! 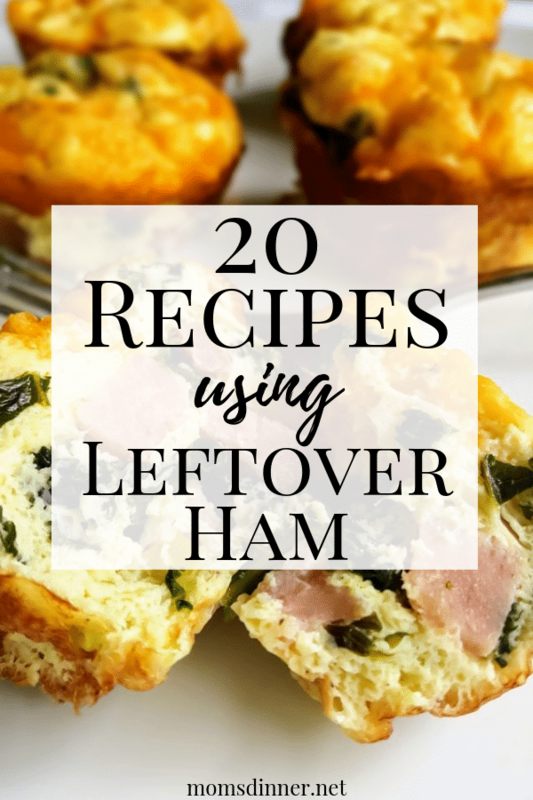 This sounds like the perfect make-ahead meal! I could eat this enchirito every single night!